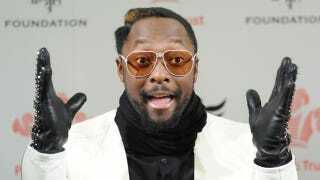 Black Eyed Peas rapper will.i.am was kicked out of a United Airlines lounge over the weekend, and like many of us do, he took to Twitter to voice his displeasure. He claims he was given the boot after United accused him of having a fake Mileage Plus membership card. Really, he just doesn't understand how airports work. "We invite only customers travelling in United Global First, customers with Global Services status traveling in United BusinessFirst, and customers traveling in first class on other Star Alliance carriers to visit our Global First Lounges. Since the customer did not meet these criteria he did not have access to the lounge. We are reaching out to the customer and appreciate his business." So in other words, he was traveling in Coach class, and the airline didn't feel compelled to bend the rules for him in spite of his fame. I actually think that's pretty cool. United has two types of lounges for customers: their United Club, for regular frequent fliers, and United Global First Lounge for First Class and Business Class fliers. It seems he was either trying to pull some celebrity strings to get in the fancy lounge with his coach ticket, or may have just misunderstood which lounge he had access to with his Mileage Plus card. He was obviously trying to call out United in front of his 12 million Twitter fans by not sharing the whole story, so it doesn't appear the airline did anything wrong here.